Ambassador (Retd.) 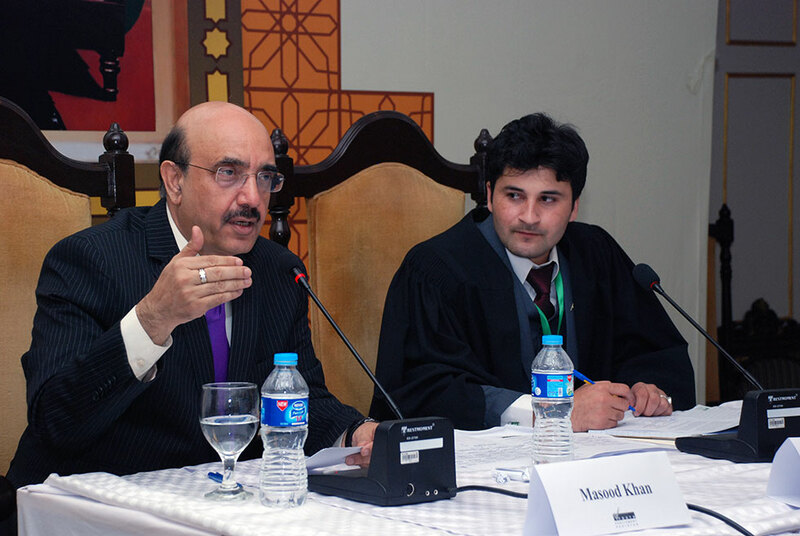 Mr. Masood Khan addressing the House on “Foreign Policy of Pakistan"
October 05; Members of Youth Parliament urged the Parliament of Pakistan to pass the Hindu Marriage Act Bill at the earliest. Members believed that according to the Constitution of Pakistan, all citizens are equal, but unfortunately Hindu marriages are not legally registered. Because of lack of legislation many Hindu girls under age of 18 are kidnapped and forcefully converted, raped and killed. MYPs were of the opinion that it was the necessity of time that the said Bill should be approved from the Parliament and promulgated as a law at the earliest. 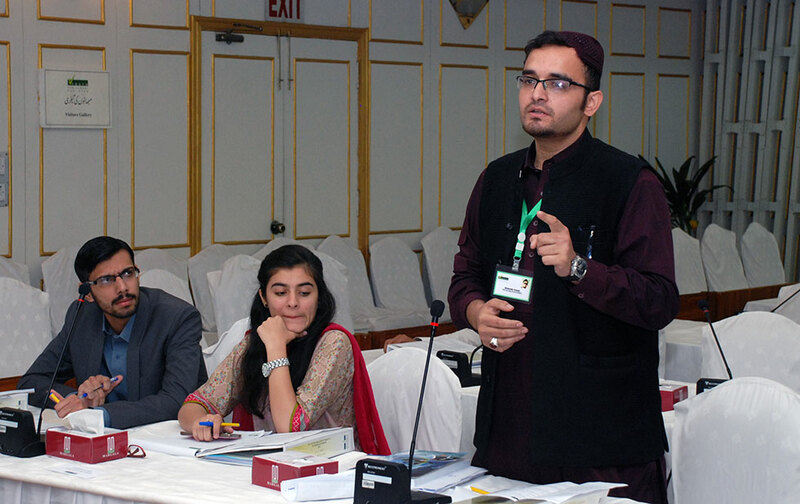 The Resolution was presented by Mr. Mukesh Kumar (YP4-47 SINDH07), Mr. Aziz Ullah Khan (YP4-12-KP08), Mr. Fateh Ullah Khan (YP4-08-KP04) and Mr. Sadam Hussain (YP4-50-Sindh10). 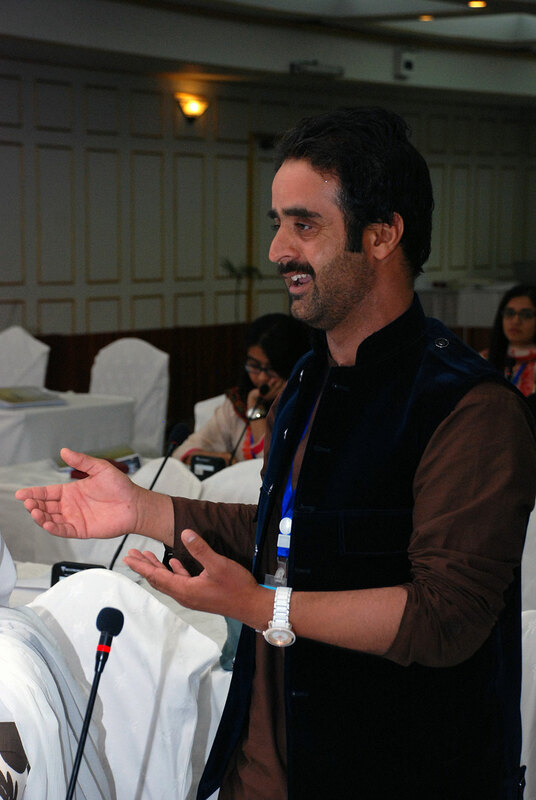 Syed Ali Raza (YP4-59-AJK02), Mr. Abdul Wahid Qureshi (YP4-05-KP01), Mr. Saad Shaukat (YP4-37-PUNJAB25) and Mr. Sadam Hussain Lashari (YP4-50-SIND10) was of the opinion that one of the fundamental nation building measures, as envisaged by our founding father was Student participation in national political discourse. The ban on formation of Student Unions should, therefore, immediately be lifted so that the youth of the nation may democratically play their part. 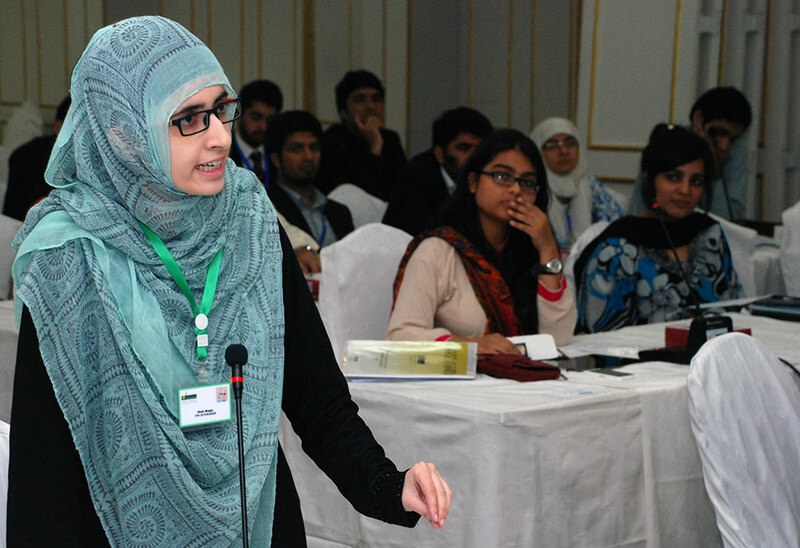 In another resolution tabled in the House today, Ms. Ifrah Waqar (YP4-20-PUNJAB08), Mr. Zubair Ahmad (YP4-11-KP07), Mr. Muhammad Talha Malik (YP4-28-PUNJAB16) and Ms. Zahida Bakhtawar Khan (YP4-52-SINDH12) condemned the cancellation of the first Summit of Organization of Islamic Cooperation’s Standing committee on Science and Technology Cooperation (COMSTECH). This Summit, which was scheduled to be held in Islamabad this year, has been cancelled at the behest of Government of Pakistan over security concerns. By doing so, Pakistan has missed a great opportunity of hosting 55 Heads of the States or their representatives. 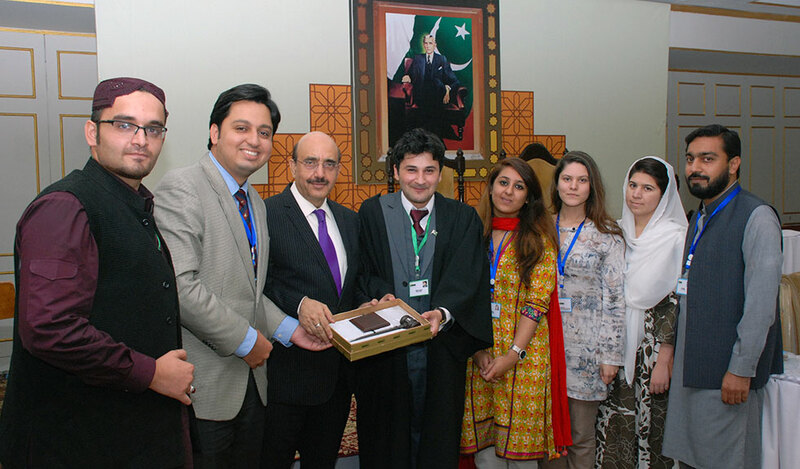 Former Ambassador and Director General Institute of Strategic Studies, Islamabad Mr. Masood Khan delivered a lecture on Foreign Policy of Pakistan with special emphasis on its neighbours.